This section is focused on Programmers who have good knowledge on Object Oriented programming. 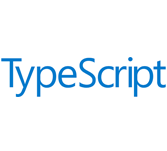 Its easy to use TypeScript and faster to build web applications as this has good tooling support. You can learn this course with the examples you will find Try it option to make this learning more fun.